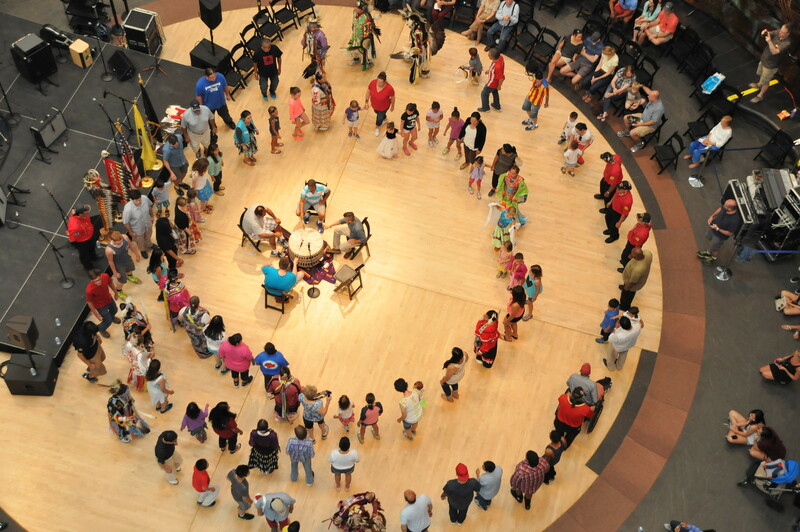 The Smithsonian’s National Museum of the American Indian will host its annual Living Earth Festival April 26–28 at its museum in Washington, D.C. Living Earth brings together Native innovators and practitioners dedicated to using Indigenous knowledge to protect and sustain the environment. The theme of this year’s festival, “Farm to Table: Sustaining Our Future Through Indigenous Knowledge,” highlights multiple perspectives on Indigenous contributions to sustainable farming by exploring trends, innovations and sustainability in Native communities. Topics to be explored during the festival include business practices, land separation, sovereignty, seed preservation, health and education. The festival’s opening event takes place Friday, April 26, at 6:30 p.m. in the museum’s Rasmuson Theater with a panel discussion and a film screening. The museum will show Karen Cantor’s 28-minute documentary Return, which examines how Native American women are reclaiming traditional foodways to improve the physical and spiritual well-being of Native communities. Panelists include Lori Arviso Alvord (Diné), the first Navajo woman to become board certified in surgery; Terrol Johnson (Tohono O’odham), a basket weaver, sculptor and health advocate who promotes indigenous foods; and artist Roxanne Swentzell (Santa Clara Pueblo), co-founder and president of the Flowering Tree Permaculture Institute, which teaches sustainable living practices for arid environments. The screening and discussion will be webcast. On Saturday, April 27, and Sunday, April 28, festival events take place throughout the museum from 10 a.m. to 5:30 p.m. each day. The museum’s Potomac Atrium will feature several demonstrations, including saving salmon (Lummi Nation), protecting wild rice habitat (Leech Lake Band of Ojibwe), Twisted Cedar Wines (Cedar Band of Paiute Indians of Utah) and Bedré Fine Chocolate (Chickasaw Nation). Johnson will present “Rebuilding Our Food Traditions” April 27 and 28 at noon, and Swentzell will speak about “Reclaiming Native American Foodways” April 27 at 2:30 p.m.; the programs take place in the Rasmuson Theater. On Sunday, April 28, the festival presents a “Conversation With the Chefs” at 3 p.m. in the Rasmuson Theater. Mitsitam Cafe chef Freddie Bitsoie (Diné) and Sean Sherman (Oglala Lakota), founder and CEO of the Sioux Chef, discuss the importance of bringing indigenous foods and ingredients back to the dinner table. Following the conversation, Sherman will sign his 2018 James Beard Award-winning book, The Sioux Chef’s Indigenous Kitchen. The festival will also feature hands-on activities for children, storytelling in the imagiNATIONS Activity Center, dance performances and tours of the museum’s landscapes. A complete schedule of events is available on the museum’s website.